Find out the five key advantages that businesses gain with cloud-based CRM. Cloud Customer Relationship Management (CRM) refers to a cloud-based technology that stores, processes, analyzes customer information in the cloud, and makes this data available to users via the Internet. This is in contrast with on-premise CRM,which houses all the CRM data and processes in an installed software or hardware. Deployment-wise, there are a lot of benefits and limitations that separate these two types of CRM solutions. It’s important to understand the pros and cons of each type of CRM class to successfully select the solution that best matches the level of flexibility and security your business requires. Here, we focus on Cloud-based CRM and what it can do for your business. In the survey conducted by the Ponemon Institute for Thales e-Security, 54% of 4,025 business and IT managers are already securing sensitive data within the cloud, with 31% from seven global countries expected to follow this trend. This data reflects that more decision-makers are discovering the operational benefits of cloud services versustraditional IT systems. Customers are becoming more digital than ever. . To keep up, businesses must brace themselves to master the influx of customer data coming from so many different channels. Cloud-based CRM systems help keep this level of data manageble and leveragable. . Traditional CRM systems tend to complicate the integration of data between platforms due to legacy systems being incompatible with modern media. Cloud-based CRM systems, however, not only provide easy access and navigation across various communication channels, but also strengthens the flow of data within an organization. Adopting cloud-based technologies opens the door for enterprise mobility and big data analytics. Cloud-based CRM enables real-time synchronization of information across a unified and integrated database. Analytics platforms also receive a boost from this consolidated approach to data—offering a more holistic view of existing CRM data and relevant insights into market trends and forecasts. Cloud-based CRM applications also enable employees to work remotely. This means that teams can collaborate instantaneously and act on sales and client service in real-time—allowing for an increase in productivity across the organization.. Though cloud-based CRM systems are mostly pre-built and lack back-end flexibility, front-end customizations are welcome and can be provided to the end-user. Companies can add their own logos, personal messages, and tweak the end-user experience design to best suit their needs. 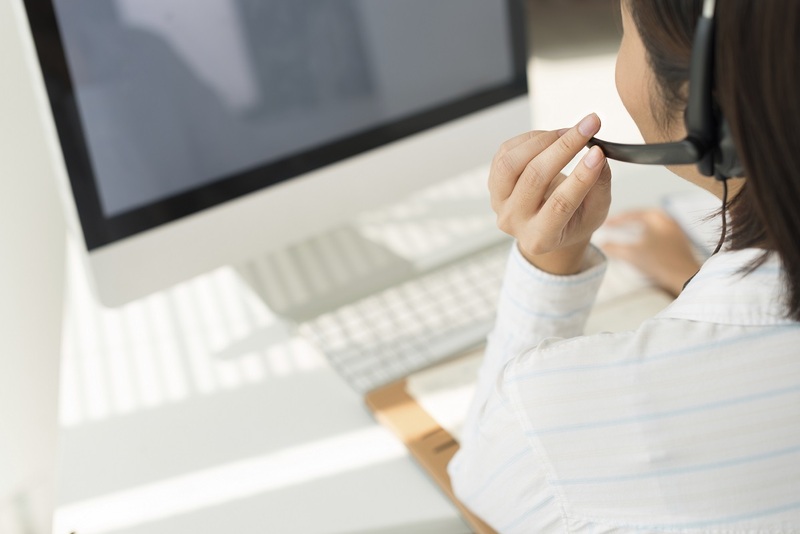 Most cloud-based CRM systems also come with a host of integration options to make it easier for you to connect your accounting, email, and social media tools. With cloud-based CRM, there’s no need for infrastructure, networking, or a complicated set-up process. businesses can pay as they go and cut upfront costs and implementation time.Employees can be trained quickly. Projects can be migrated easily and shared online. 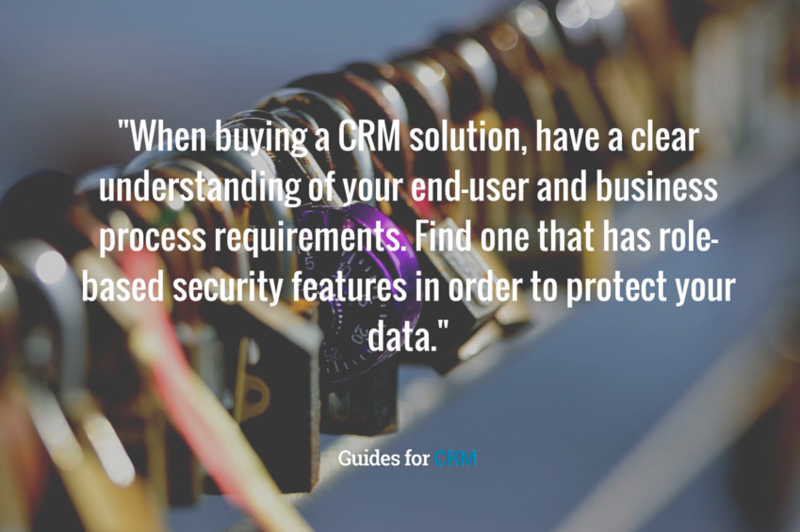 When buying a CRM solution, you must have a clear understanding of your end-user and business process requirements. To maintain institutional integrity, it is best to invest in a platform with role-based security features that protect the company’s data. Coordinating with all departments is a must. Ensure that the entire workforce uses the platform to document customer interactions. This way, no customer detail will be overlooked. When implemented properly, effective CRM platforms can help keep all team members on track and make sure that all opportunities are acted on as soon as possible. Finally, do not get too influenced by CRM features that you do not need. The key is to create a list of requirements and then stick to it. Have your own personal insights on buying cloud CRM? Share them with us on the comments section below.